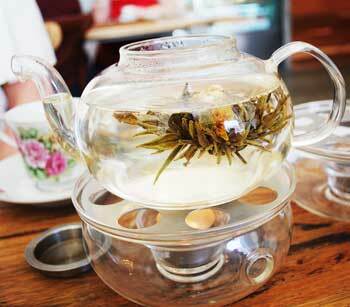 Learn how to brew the perfect cup of tea with Sarah De Witt from popular Teahouse in Brunswick, Mary Eats Cake. 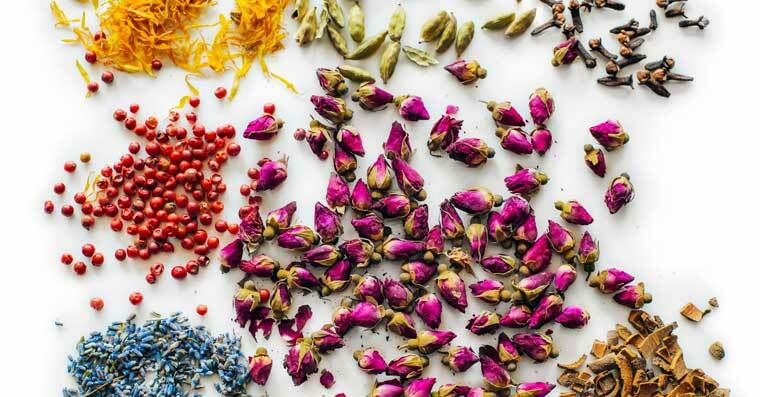 of Impala & Peacock, an organic loose-leaf tea company based in Melbourne. Learn how to brew the perfect cup of tea with Sarah De Witt from Mary Eats Cake from High Tea Society on Vimeo. For how long has tea played a big part in your life? For personal consumption, ever since I can remember. I was raised on Chamomile tea. It was a staple every night before bed. In a professional setting, I’ve been involved with tea for 5 years. 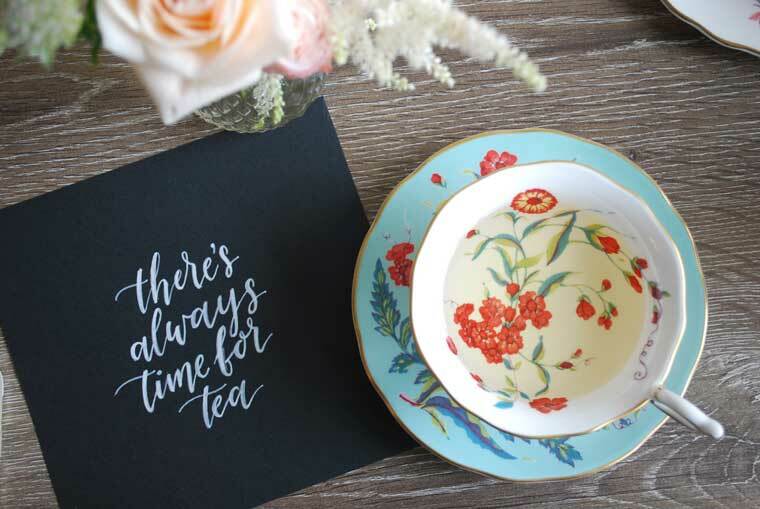 What sparked your interest in tea? It was a green tea from Japan called Guyokuru that first started my obsession with tea. This specific tea was shaded before harvest, picked by hand, and had the most complex nuance and flavour I’ve ever experienced in a beverage. It was both sweet, salty, umami, vegetal, and nutty; It was incredible. It was then that I started researching the production side of tea and found the world of tea to be a balance of art and science. There are so many varieties and combinations that enhance food experiences with tea. How did Impala and Peacock begin? My husband and I started Impala + Peacock one evening over dinner, on the back of an envelope, over a pot of delicious tea. We wanted to share the expansive and intricate world of tea and tea blends so we started Impala + Peacock to do just that. In an airtight container protected from light (amber glass jars are ideal). What are your tips for preparing tea at home? Choose your tea, temperature, and time wisely. Pick a loose leaf tea you love (loose leaves can be brewed more than once), make sure you use the correct temperature on the tea, and brew it for the right amount of time. Can you describe the different brewing technique for the different tea styles? White: They are often delicate buds, so low temperatures of 70 – 80 degrees is ideal. Rinse the leaf with the desired water temperature first to awaken the leaf and steep for an average of 4 minutes or until the flavour extracts. Green: Approximately 75 degrees for no more than 3 minutes. Green teas are often the most sensitive when it comes to brewing. If the water is too hot or the steep time too long it will go bitter. Oolong: Approximately 85 degrees for 1-2 minutes. Quick steeps and multiple steep sessions are best for oolongs. Black: Approximately 95 degrees for 3 minutes. If you like your black tea straight, stick to 2 minute infusions in order to avoid the tannin astringency. If you like your tea with milk, a rich robust 3 minutes is ideal for flavour. Puehr: 100 degrees, 1-2 minutes. Quick multiple steeps are ideal. Tisanes: 95 degrees and a minimum of 3 minutes. Tisanes will not go bitter so the longer they stay in the water the richer the flavour. I would say so. Usually the ‘fannings’ are what go into tea bags, which is the dust of the tea pile. The premium leaves and buds are reserved for loose-leaf teas thus making them more flavoursome and complex. This is a hot topic. Many great tea connoisseurs have argued this tea enigma and whilst the definitive answer is debatable I believe you should put your milk in first. It offers a better combination of the two liquids and allows the creaminess of the milk to filter through your hot tea in a more harmonious way. If you add milk second, the hot tea can overwhelm the milk and release less flavour/ creaminess in your cup. Also, traditionally, adding cold milk first protected delicate china from cracking from boiling tea. 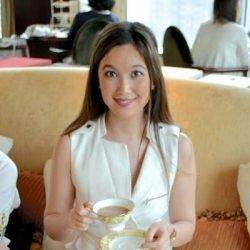 Learn more about high tea at Mary Eats Cake.